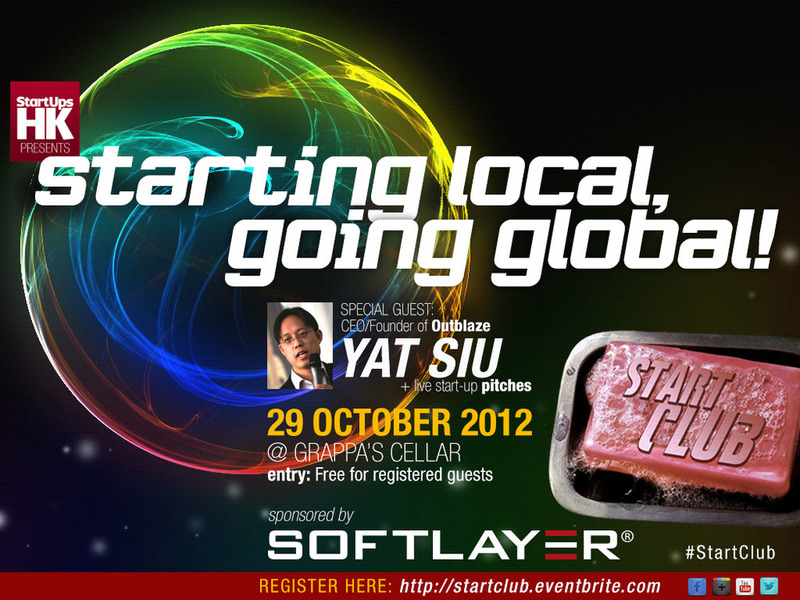 Yat Siu, CEO and founder of Outblaze, is the special guest at the next Start Club, the event for entrepreneurs organized by StartUpsHK. 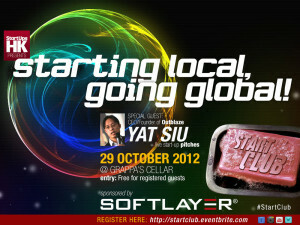 Come by to hear Yat’s philosophy of entrepreneurship in Hong Kong and his thoughts on the theme of “starting local, going global”. The event begins at 7:30 pm on October 29, 2012. The venue is Grappa’s Cellar located at Jardine House, 1 Connaught Place, Central District. There is no entry fee, but please register if you wish to attend. Find more information at the event web site, or see the Facebook event page.